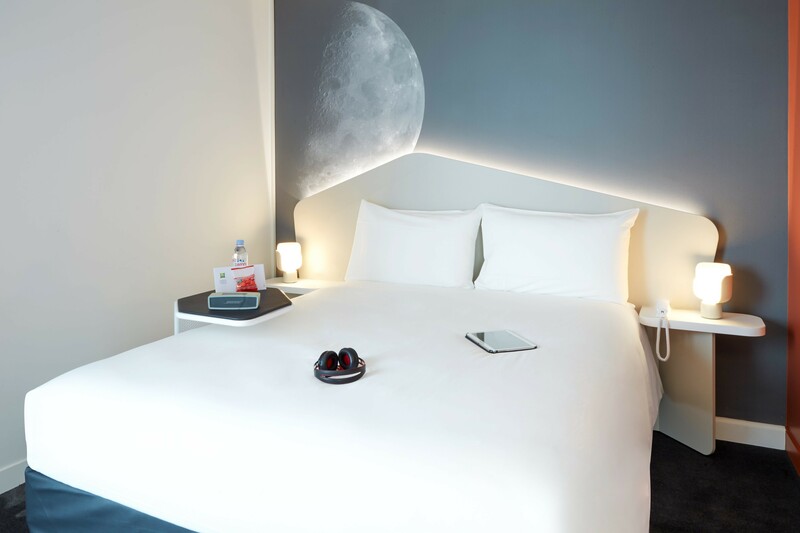 AccorHotels, the world’s leading hotel operator, announced today that it is inaugurating the Pullman Paris Roissy CDG Airport and ibis Styles Roissy CDG Airport hotels in the Paris-Charles de Gaulle hub, Europe’s second-largest and the world’s eighth-largest airport. These two milestone openings have pushed the Group’s worldwide room count over the 500,000 mark. It is planning to open more than 160,000 additional rooms by 2020, including 90% under franchise and management contracts. This hotel was designed as a living setting for exchanges and sharing. It is a savvy blend of upscale comfort and class, to nestle guests in wellness amid the quintessentially cosmopolitan surroundings. Elegant and stylish are the two words that shine through the areas that designer Christophe Pillet created with his novel touch. He has steeped this hotel in contemporary, timeless chic, while maintaining Pullman’s hallmark cosmopolitan atmosphere. The 305 rooms and suites are clad in gentle, natural colors, guest-friendly and graceful, and provide ultimate levels of comfort. The generously-sized beds, flat screen TVs, expansive walk-in closet and redesigned dressing table in the rooms give you that home-away-from-home feel during your stay. The restaurant, Culinaire Bazaar, serves appetizing, authentic and friendly dishes made with quality produce. Chef Thierry Coutable is keen on market produce and works with local farmers. At the bar, the creative crew mixes its singularly creative up-to-the-minute takes on rare or forgotten spirits such as the Rin Quin Quin from the time-honored Distillerie et Domaines de Provence. And the cocktail menu naturally includes Absinth, Calvados and Cognac. The swimming pool, meeting rooms overlooking the runways and the 140-sqm Fitness Center are a few other features that make this hotel the perfect destination for cosmopolitan globetrotters. 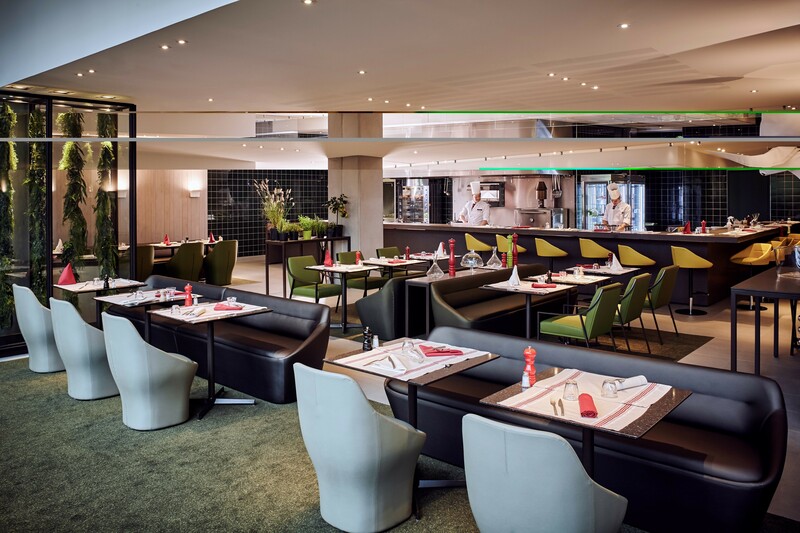 The latest hotel from the ibis Styles economy brand was envisioned by Blanchet d’Istria, an interior architecture agency, which has beautifully encapsulated its great fun and utterly cool attitude in this hotel. The ubiquitous theme is space, and the hotel itself takes guests to new places. It is an ideal spot to start or end a journey. The spacious areas each capture the space-travel epic in their own way. The deep colors and lean furniture sit side by side with myriad space-age memorabilia and other witty winks that intertwine into a Happy Mood atmosphere quite unlike anything else. The colors in the 305 rooms are soothing, a moon backlights the headrest, and guests enjoy floating in these timeless capsules. For the epicureans, this hotel has a fresh soup bar and a restaurant, the Foody’s Planet. And they can travel, without leaving Planet Earth this time, enjoying a selection of planchas and burgers from around the world. This hotel is suited to business travelers as much as tourists, the soundproofing is outstanding, the Wi-Fi is free, and the coin récré (playground) for kids is only one of its family-friendly features. With these two hotels, the Group is creating more than 200 jobs in Greater Paris.